Save 50-70 % on your dental implants in Greece at Klironomou Dental. Honor us with your choice and visit our clinic for you Dental Implant Abroad treatment! Why do we use Xive,Sic,Mis,Paltop and Nobel Biocare implants? What does cost of dental implant depend on? A dental implant is an artificial replacement of tooth root that is anchored into a pre-drilled hole in the jaw-bone to provide support to a crown, bridge or even a full denture in place. Dental implants are made of titanium, a material that is well tolerated (biocompatible) by the human body and quickly integrates (Osseo integration) with bone tissue. When placing an implant, the oral surgeon achieves a close contact between the surface of the implant and the tissue of jaw-bone. 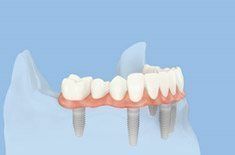 With time the implant integrates into the jaw-bone creating a robust and durable support for the replacement tooth. 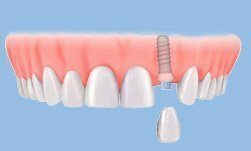 If there is a requirement for the replacement of more than one tooth an implant supported bridge or a full denture is built on implants. In some cases when there is not enough jaw bone to support an implant sinus lift or bone grafting is need to be prepared. There is a possibility you’ll need a minor graft that the procedure might be able to be conducted at the same time as the implant surgery, but your dental specialist will make the final decision. For a bone graft to be deemed successful, it has to be robust enough to support your dental implant. Bone grafting is a totally safe and highly successful treatment that involves the “building up” or increasing the bone to the jaw by using your natural bone from another location and by using donor, processed or synthetic bone materials. Your dentist might discuss the options for you based on the pricing and suitability to your body. Often the new bone can be obtained even from inside the mouth. Your implants will be placed after the grafted bone has fused or become a healthy, integrated part of the existing bone. The amount of time the integration requires varies depending on the place of the graft and the density of the bone. It may take three or more months. Dental implants will enable the edentulous patient to eat, chew, talk, smile, laugh confidently, so much that he or she will even forget that your teeth are not naturally theirs. If you are sick and tired of all the embarrassment of slipping dentures, not being able to eat the food that you love and the ineffectiveness of denture adhesives or just want to have one missing tooth to be replaced, then the dental implant is the perfect solution for you. 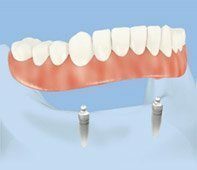 The placement of the implant will be tailored according to your needs. Contiguous teeth might move towards the gap. Thus your denture might loosen up. This can cause you difficulty in chewing that might lead to indigestion. If you don’t act as soon as possible your jawbone starts losing bone mass with time. Bone resorption may result in a transformation of your face into a strange appearance. During the chewing process, food residues might stay in the gap that hurts the neighboring teeth (both sides). Furthermore, missing incisors might give you a hard time in talking, and you might lose confidence in public. Dental implants are in different heights, sizes, and materials. Our dentists prefer to use (Xive, SIC, MiS, Paltop, Straumann and Nobel) titanium implant because it is not fragile, lasts for lifelong, fully anti-allergic (biocompatible), non-toxic and non-corrodible. A perfect solution to replace dentures – secure, stable and securely attached to the jaw; fit comfortably. Feels natural and fits in the oral cavity – no need for creams or adhesives. Allow healthy teeth to be preserved by not having to chisel them for teeth replacements. Biocompatible – accepted by the body and serves as a vigorous and sturdy foundation for replacement teeth. Life-long dental solution for tooth replacement – investment can last a lifetime! Not carcinogenic – material used is pure titanium and a titanium alloy. Implants do not corrode – safe in the moist and harsh oral environment.Titanium implants are not allergic or toxic. Easy care and cleaning – using everyday oral care tools such as interdental brush and single tufted brush will do. Help restore healthy chewing capacity – and regain the smile you always wanted. Dental implants can be placed in the jaw of patients of any age (with fully developed jaw-bones), provided that they have a sufficient quantity and quality of jaw bone tissue available. Most healthy individuals that maintain a good oral hygiene are suitable candidates for dental implants. You cannot know or estimate if the jawbone is sufficient or not. Based on the combination of dental X-rays and a CT scan we use, your bone density and volume can be assessed, and information about nearby anatomical structures (such as nerves) can also be gathered. The dentist might indicate that your bone would need support, i.e. an artificial bone replacement/grafting or sinus lift. This step is before building up the dental implant. Remember, this part of the whole process is not harmless or secure if you are in bad condition, so please make sure that before and after the treatment you are healthy and get enough rest. For a lifetime. You have to make sure to take care of all the advice from the cosmetic dentist. If your oral health is kept, there should not be any problems arising. Why do we use Xive, Sic, Mis, Paltop, Straumann and Nobel Biocare implants? While Nobel Biocare, Xive and, Straumann is a premium implant at a premium price, SIC, Mis, Paltop is a high-quality dental implant at a reasonable price. The whole implantation procedure (from implantation to final restoration) varies in each case. During the consultation, our surgeon or implant specialist evaluates the panoramic X-ray and consult with the patient. If the patient’s general condition and bone tissue are found to make the implant procedure possible, a customized personal treatment plan is prepared. The dentist may order additional examinations or request a CT scan if necessary to check bone mass. During 100% painless implantation procedure implant is placed in the jaw bone. After the surgical procedure is performed according to the protocol, the dental patient is given proper advice and instructions for the healing period (necessary time for the bone recover). If there is no sufficient bone tissue is available for implantation, a particular surgical procedure called bone augmentation or bone graft is provided to replace the bone tissue that is missing. Over the next 3-6 months (that is the healing time) after implantation, the implant heals under the gum, i.e. the implant integrates into the jaw bone. 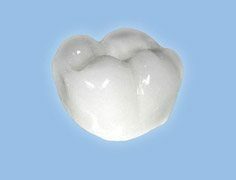 During this period the patient has to maintain perfect oral hygiene and take medications as instructed. After the healing period, the final restoration is built on the implant or implants. 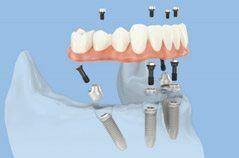 There are many types of restoration on implants from simple solutions (single crown on one implant or bridge on two implants) to full restorations (full bridge on 6-8 implants, All-on-4 , and removable overdentures). The latter restoration solution is often referred to as overdenture. 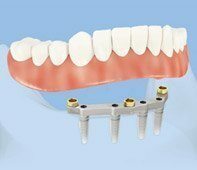 If you have no teeth in the lower jaw, and are not yet ready for multiple implant placements, a conventional lower denture can be replaced by a removable overdenture. Usually, the long-term success of the implant and the artificial tooth built on it cannot be guaranteed without careful oral hygiene; therefore, it is imperative that the patient maintains, and improves if necessary, his or her oral health. After the prosthetic procedure, patients have a check-up examination at least every year to check the oral health and the function and stability of the implant. After the implant surgery, there might be symptoms of intensifying pain, swellings inside the mouth or even the face. This is common since a dental implant surgery is a kind of an intervention into your body. In the case of any pain, it is indicated to take some regular painkillers (provided FREE of charge at Klironomou Dental Clinic), because they might help you to handle the first days after the surgery. Besides that, it is prudential to foment the affected region with some ice jelly (provided FREE of charge at Klironomou Dental Clinic) to make sure that swelling is on the wane faster along with taking prescribed antibiotics (provided free at Klironomou Dental Clinic). Usually stitches should be removed 7-10 days after the implantation surgery, nevertheless, Klironomou Dental Clinic might uses resolvable stitches, i.e. you can spare an extra journey for stitches removal.Please note that for a clinical reason we might be able to use resolvable stitches, so in this case you will have to spare one more visit in order to remove them. Yearly check-up after a dental implant is even greater than in the case of other dental treatments. This is because a dental implant is a severe intervention into your body. Although the dentists at Klironomou Dental Clinic use the best material available on the market, treat your teeth with the high quality of expertise as well as take your health status into consideration, still any trouble may arise later on. It is strongly advised therefore to see your dentist as advised. The expenses of an implantation depend on the complexity of the treatment, the used materials and suggested prosthetic works. Possible bone grafting or sinus lift can also affect the costs. The patient then receives a comprehensive treatment plan supplied with the positions and number of the teeth to be treated (implantation, bone grafting), prosthetic and laboratory works (preparing of the new teeth in the dental laboratory). So the costs of implantation treatments are not easy to compare. How Do I Take Good Care of the Dental Implant? The tissue surrounding the implant should appear pink, firm, and keratinized with an bsence of signs of infection. The peri-implant soft tissues (per mucosal seal) that separate the connective tissues surrounding the implant from the outside environment should be keratinized tissue. Studies have shown that the absence of keratinized tissue is more susceptible to pathogenic bacteria thus leaving the implant vulnerable to peri-implant disease. Patients have to understand that the success rate of the implant depends almost absolutely on the health of this seal, and it is the goal of the dental hygienist to teach the patient on how to obtain keratinized tissue and maintain a healthy per mucosal seal. Optimal oral hygiene must be done before, during, and after placement of dental implants to ensure the health of the implant. Patients are curious about what kind of maintenance their implants will require. Do they brush and floss their implants like natural teeth? Does food get beneath the fixed implant bridge or prosthesis? Patients look to their hygienists to address these concerns and help them with an individualized home-care routine. There are various types of floss available today, and it is highly recommended to use unwaxed tape or implant-specific floss to protect the tissue surrounding the implant. Alternatively, for bar-retained prostheses, full fixed retained prostheses, or wider interproximal spaces, a specialized floss or floss threader that has a built-in threader is necessary. Save 50-70 % on your dental implants in Greece at Klironomou Dental. Honor us with your choice and visit our dental clinic for you Dental Implant Abroad treatment. With the situation nowadays where it is easier than ever to travel, dental tourism is becoming popular. Perhaps it’s a good time for you to get dental implants abroad. One of the best destinations being dental implants in Greece. Greece has long been one of Britain’s favorite holiday countries. Beautiful beaches, beautiful scenery, excellent climate – and a wealth of archaeological and historical sites. Now there’s a brand new reason for visiting Greece – high standard dental surgery clinics offering good value for money. Plenty of cheap, frequent flights make getting to Greece easy, and there is always an outstanding range of accommodation options. All in all, this country of Greece is an attractive dental tourism destination. Millions of people visiting Greece each and every year, and thousands of these visitors take advantage of the low local prices to have their dental treatment performed at the same time, and that number is increasing rapidly! Seize your opportunity and have your dental treatment done at just a fraction of the price you find elsewhere!